(Santa Ana, CA) – The Board of Supervisors has appointed Peter Hughes to a three- year term as the County’s permanent Performance Audit Director. “The Orange County Board of Supervisors will meet Monday in an emergency closed session to discuss whether they should refer allegations of sexual misconduct against Santa Ana City Councilman Carlos Bustamante to District Attorney Tony Rackauckas for a criminal investigation,” according to the Voice of OC. To learn more about sexual misconduct cases click here. 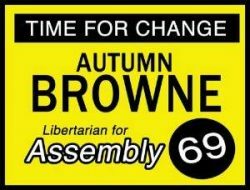 Don’t forget that Nguyen endorsed Bustamante when he last ran for reelection in 2008. And she tried to stop the attempt to strip O.C. Assistant CEO Rob Richardson of his raise. What does this all mean for Bustamante? I had heard he was going to run for a third term on the Santa Ana City Council. But now the whole mess is once again on the front burner. Hopefully a candidate will emerge to take him out. 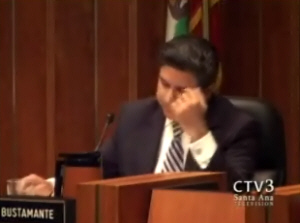 Better yet, Santa Ana Mayor Miguel Pulido needs to take him aside and make it clear that he has to go.